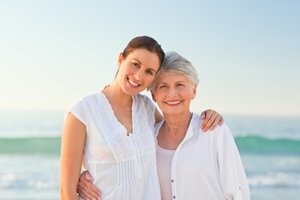 Many seniors seek out retirement communities and other grouped housing options because they know they want the social atmosphere, but others who are not considering this option might want to take a second look, especially given a recent study that showed loneliness and social isolation can have dire effects. A recent study published in the Proceedings of the National Academy of Sciences found that older men and women who lived apart from their families and friends had a 26 percent higher likelihood of death over a seven-year period than those who were social. Study author Andrew Steptoe, an epidemiologist at University College London, told the Los Angeles Times that these seniors are dying of the usual causes, such as chronic disease, but isolation has played a large role. Fortunately for those at Sunrise communities, a wide variety of social programming and activities is available to keep residents engaged, active and fulfilled. Previous studies have also showed that social isolation can negatively impact senior health and wellness. In 2012, a report published in the Archives of Internal Medicine found that seniors who felt lonely - and described themselves that way - experienced health declines. The study showed that 24.8 percent of self-reported lonely seniors said they started having trouble performing activities of daily living like eating, dressing and bathing over a six-year period. Only 12.5 percent of seniors who said they were not lonely experienced these same declines. The New York Times reports that this study attempted to quantify loneliness, the psychological feeling of having no meaningful connections with others. The most recent study, however, teases out a slightly different aspect of the solo experience. Although many people associate isolation with loneliness, the most recent study used an objective measure of isolation rather than the subjective understanding of being lonely, pointing researchers in a new direction. In fact, researchers did ask the seniors in the study to rate their feelings of loneliness, but found no significant correlation between these answers and mortality. "This finding suggests that the subjective experience of loneliness - often thought to be the psychological manifestation of social isolation - is not the primary mechanism explaining the association between social isolation and mortality," the authors wrote in the study. Isolation can be bad for seniors' health because no one is there to notice the early signs of an illness or worsening symptoms, depriving them of life-saving early interventions. However, human connections also seem to have health benefits, Time magazine reports. Holding a loved one's hand has been found to reduce blood pressure and reduce pain, and a lack of physical contact is associated with higher levels of inflammation and stress hormones.